Humber TCP newsletter spring edition – out now! Home / Uncategorised / Humber TCP newsletter spring edition – out now! 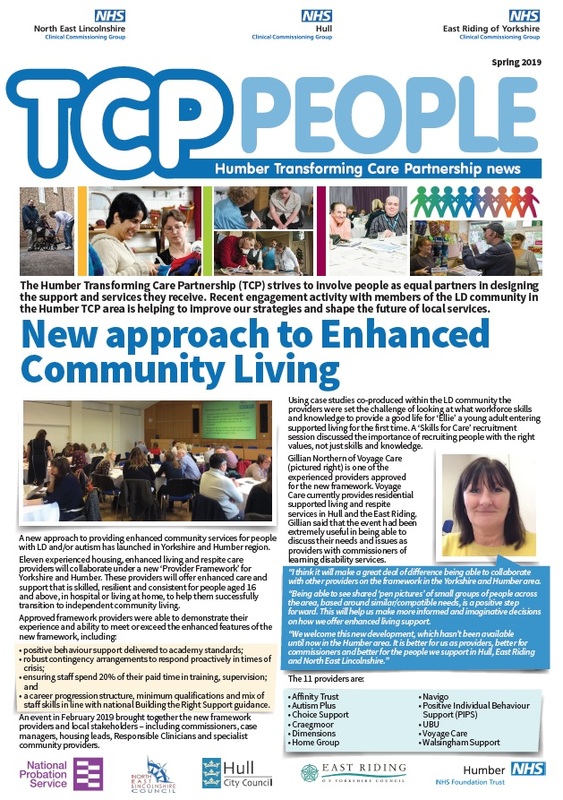 The Spring edition of the Humber Transforming Care Partnership (TCP) newsletter is packed with information for people living with learning disabilities and their families. In February the Differently Abled event saw around four thousand people pour into the Bonus Arena in Hull. Visitors with learning disabilities, their families and carers were able explore new technology, learn more about social activities and discover new ways to improve their own health and wellbeing. In this edition of the TCP newsletter you can see an overview of the day, as well as articles on Enhanced Community Living and Adult Autism.